Rule 61(1) – Road Safety Rules- Drive with more than one peer passenger. The client holds a Victoria Probationary (P1) driver’s license. At 3:30 am, the police intercepted the client’s car travelling at 105 kilometres per hour (km/h) on Nepean Highway, where the speed limit is 70 km/h. During the intercept, it was observed that our client had three passengers in his vehicle. One was a female who was sitting in the foot well between the legs of the front passenger. A preliminary breath test was conducted, which confirmed that our client had alcohol in his system. As a result of this our client accompanied the police back to Mornington Police Station for the purpose of a breath test. Following the breath test, our client was found to have 0.155 grams of alcohol per 210 litres of breath. When questioned by the police, our client made admissions as to the charges and stated that he had no reason for the offending. On the day of the case conference at Frankston Magistrates’ Court it was agreed that the matter would proceed by way of a guilty plea to Charges 2-5, as Charge 1 was an alternative to Charge 2. The plea then proceeded on the above arrangement. On Charge 2, His Honour sentenced our client to the mandatory minimum loss of license, being 15 months. His Honour backdated the 15-month loss of licence to the date that the section 51 notice was given to our client, which was six months earlier. On Charge 3, His Honour cancelled our client’s license for 12 months from the date of the plea. Magistrate-imposed disqualification/suspension periods always run concurrently with other Magistrate-imposed disqualification/suspension periods. His Honour was informed that there were VicRoad penalties associated with the charges, and that our client would incur a further four months’ loss of license in addition to the period imposed by the Magistrate, due to the demerit points associated with each of the charges. 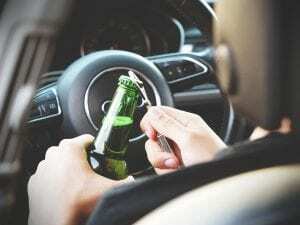 VicRoads suspensions cannot be imposed concurrently with Court-imposed suspensions, which was an important point when his Honour was considering whether our client should exceed the minimum period of time off the road. Many lawyers do not understand that demerit points also accrue with certain offences that proceed at Court. By failing to highlight these issues to the Magistrate, any lawyer appearing would be doing their client a disservice at court. Importantly, at Dribbin & Brown these finer points are drilled into our lawyers. We believe that all our cases deserve the same precise attention to detail, driving matters included. Any extra time our clients do off the road is time that is often costing them in a multitude of ways. It was our client’s first court appearance for driving charges and he was sentenced to a financial penalty of $1,200 without conviction. The client was obviously ecstatic with the outcome and immediately left an extremely positive Google review for the criminal defence lawyer that appeared for him.